Creating a studio at home comes with a lot of benefits and is cool. You can create beautiful images from your home, images you never thought were possible. To create a home studio, there are a lot of things that should be considered, and some tips that should be followed. When creating a home studio, ensure there is a space dedicated to keeping your photography tools, as well as props. Keep it where your family members will not fall over your gears or damage them mistakenly. It is safe to say that a space should be dedicated solely to the gears. You should prevent your family members from invading this dedicated space, especially when you have clients around. If they do, the clients may feel they have invaded a space they shouldn’t have. This may then heighten the tension between you and your clients. When your clients are uncomfortable, it shows in their pictures, as well as their resolve not to use you again. When shooting, instruct your family members from running around the dedicated space. The environment should be quiet and not rowdy. Distractions of any sort may remove distract attention, as well as that of your client from the photoshoot. 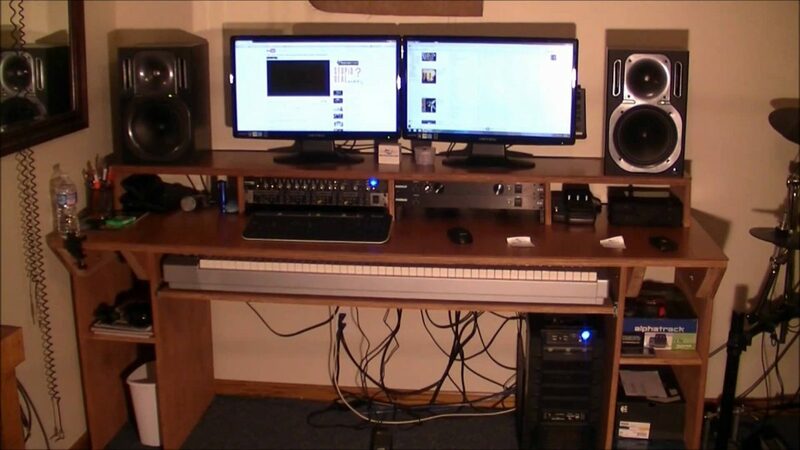 When creating that home studio, ensure that there is a room for you to easily zoom. Let the space not be rowdy because not having the ability to zoom removes the opportunity of capturing a myriad of photos in the studio, and may go ahead to distort the ones you have taken. This case will become worsened when you make use of the wide-angle lens while standing near your client because you are not able to zoom. This makes the picture seem distorted. The way to solve this is to take a step backwards, and then zoom in. Your ceiling height determines how the pictures will come out. If you are shooting in a house with a low ceiling, it is very easy for the light to bounce off it, giving it an unappealing look. The ceiling acts as a reflector board, spicing the shoot with light. You have to ensure that your ceiling doesn’t bounce off a lot of light. When you are shooting in a place with a low ceiling, you may not be able to use a hair light. The window light can affect how you shoot. If properly placed well, it can be used to your advantage. To an extent, it is harder to control. Ambient light includes that extra light in your picture that was not placed intentionally by you. It can be caused by room light, window light, as well as reflections. The light could even come from bulbs. You can try and turn off the lights, especially when from bulbs or use a daylight-balanced bulb. Lighting is a great aspect of your photography studio; do not overlook it if you want to capture the best pictures. Above all, ensure your home studio is created to offer your clients, the comfort they would see and more in a normal studio.